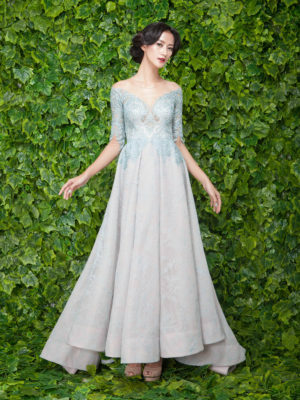 Layered tulle cocktail dress with illusion sleeves and crystal embellished floral embroidery. 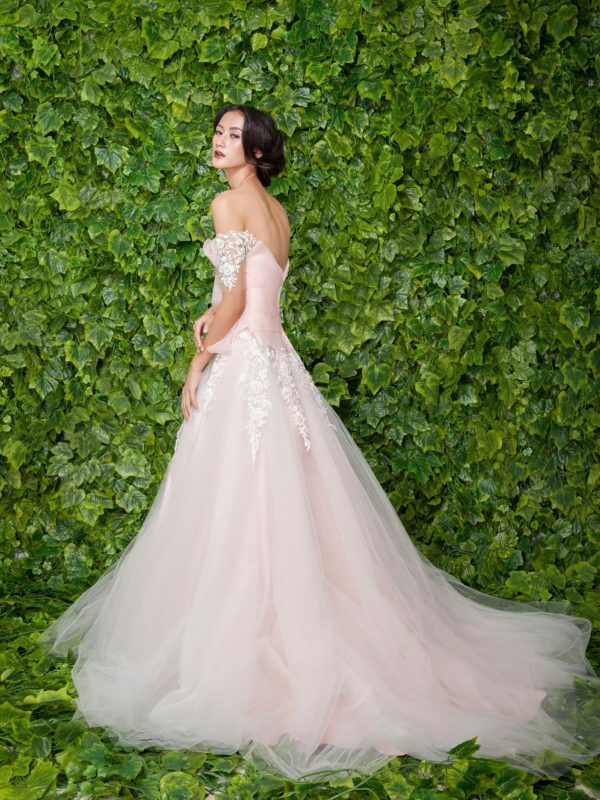 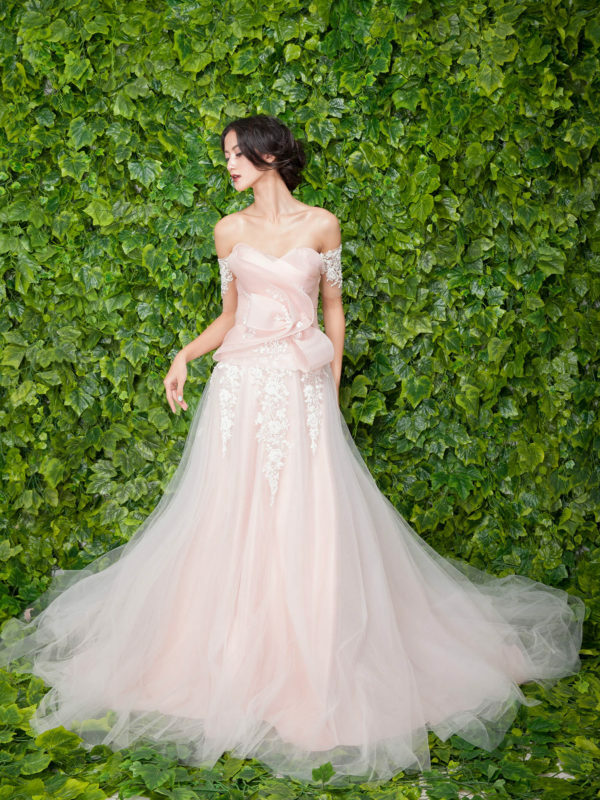 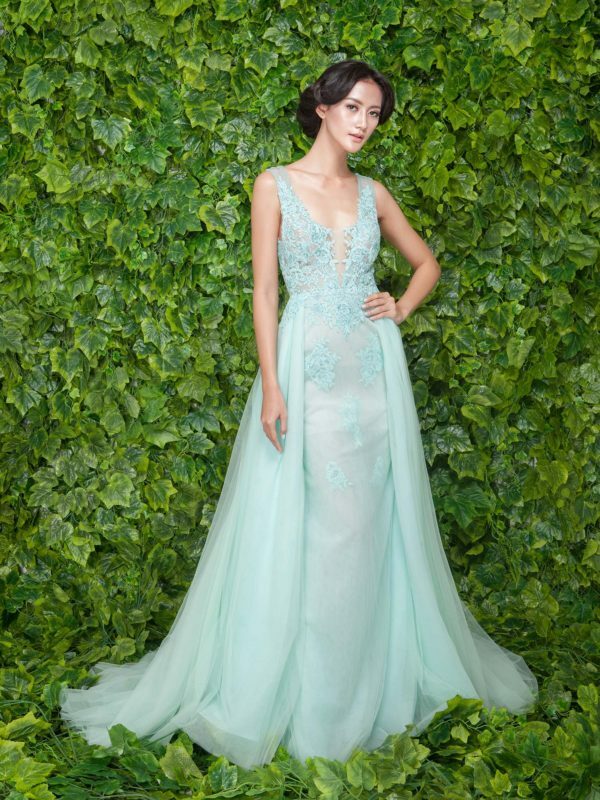 Mint green evening gown with an illusion V-neck bodice decorated with crystal embellished lace, flowing into a mermad skirt with a voluminous A-line overskirt. 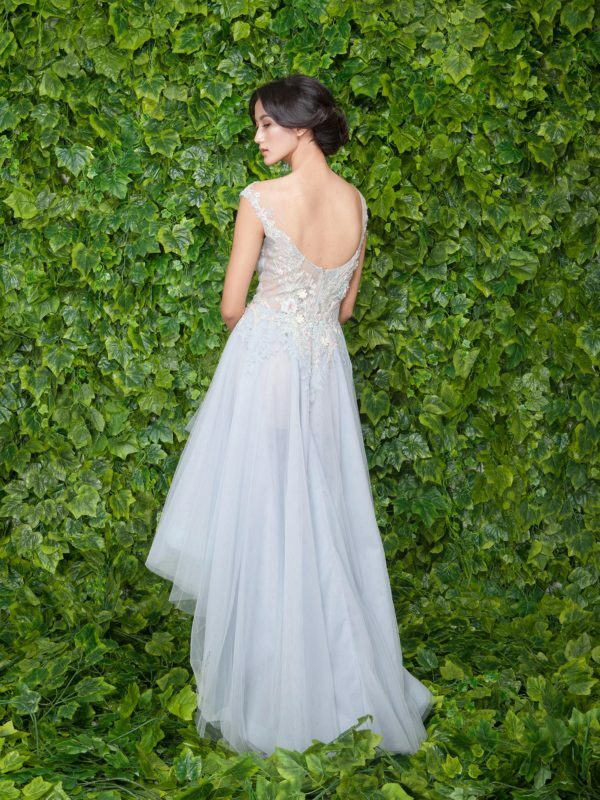 Light-blue cocktail dress with a hand-beaded lace bodice, peterpan collar and a cute puffy skirt that shimmers with a layer of glitter underneath the chantilly lace. 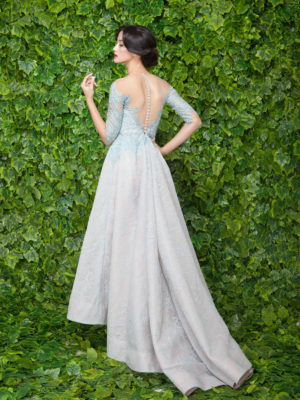 Empire-line mint-green evening dress with chiffon skirt and chantilly sleeves. 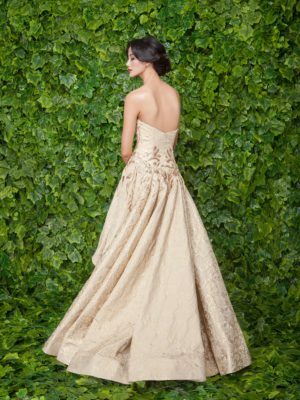 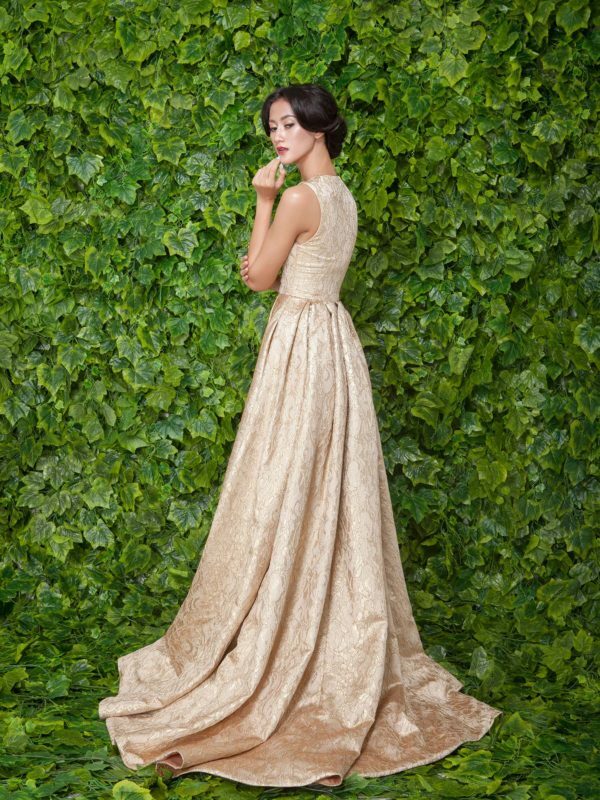 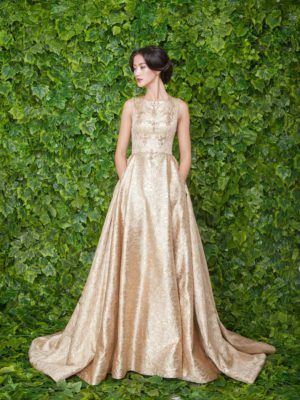 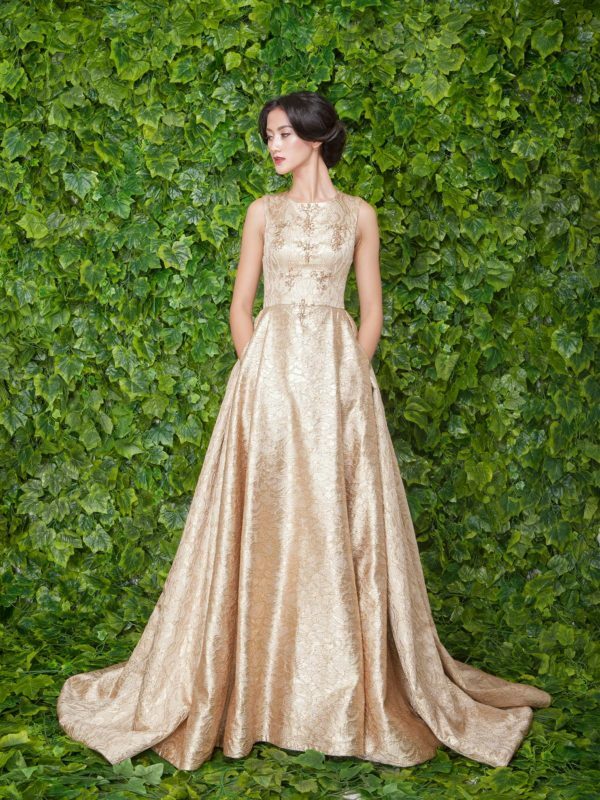 Dramatic voluminous mermaid evening gown in gold and creme Jacquard with an illusion back. Short mint-green lace cocktail dress with a tiered tulle and lace skirt. Short dusty-pink lace flounce cocktail dress with pleated tulle detail on bodice. 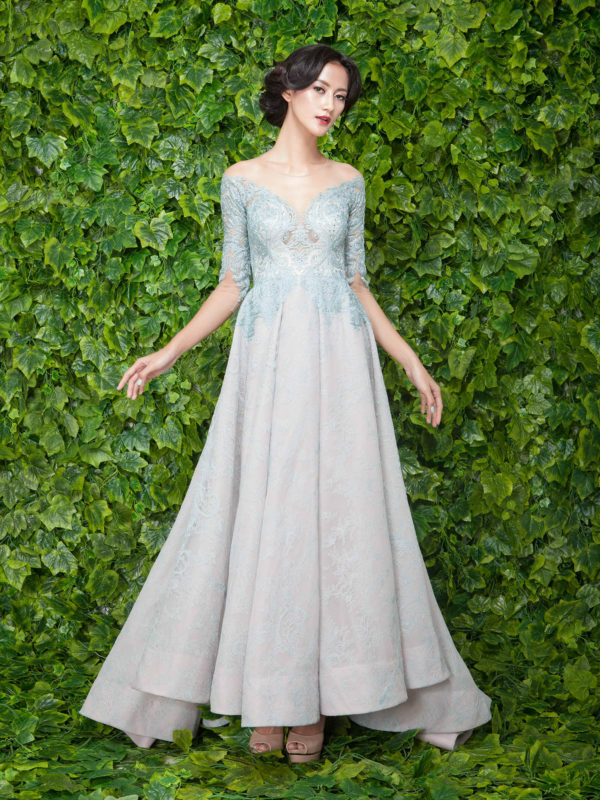 Knee-length jacquard A-line dress with crystal beading.